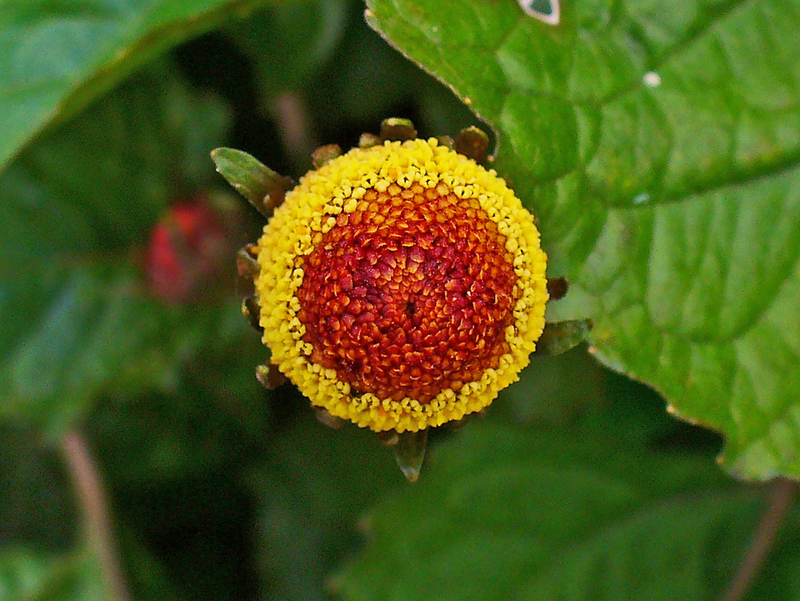 The eyeball plant was probably cultivated in Brazil from Acmella alba, which is native to Peru and Brazil. The cultivar escaped, and is now naturalized in parts of Brazil and East Africa, and cultivated in Africa and Indian Ocean islands. 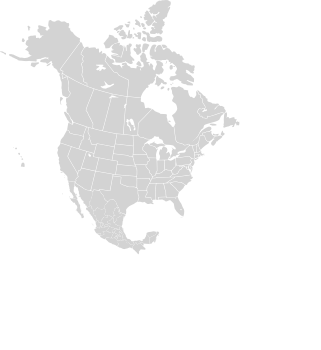 It is not found in the wild in North America. Identification: Stems may be erect or lying down. They are hairless and often reddish. Leaves are in opposite pairs, each 1¾-4" (5-11 cm) × 1½-3" (4-8 cm), roughly oval or triangular in shape. Flowers are up to ⅞" (2.5 cm) × ½" (1.5 cm), composed of very large numbers of tiny yellow florets. 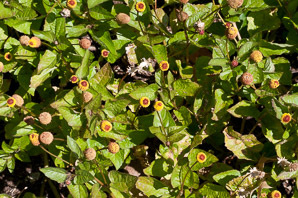 The “eyeball” appears when dark red-purple buds on top have not yet opened. Photo by H. Zell, 6/27/2009. Edibility: Leaves of the eyeball plant are steamed and eaten in India. Raw leaves are used as a flavoring agent in soups and salads. The taste is strong, spicy, and warm, becoming prickly. This causes salivation, and the sensation changes to numbness, which fades after a few minutes. 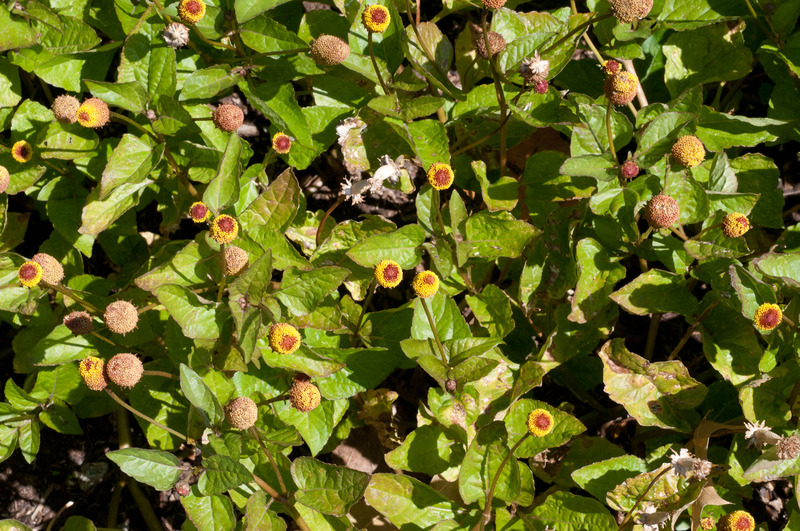 The flower buds have the same effect, and Wikipedia lists several popular names for them: buzz buttons, Szechuan buttons, sansho buttons, and electric buttons. Medical: The numbing effect of these plants has been used to treat toothache and other throat complaints, and even for stammering, but these treatments are probably not effective. More recently, it has been found useful for treatment of dry mouth. When applied topically, some believe that it reduces age-related wrinkling. 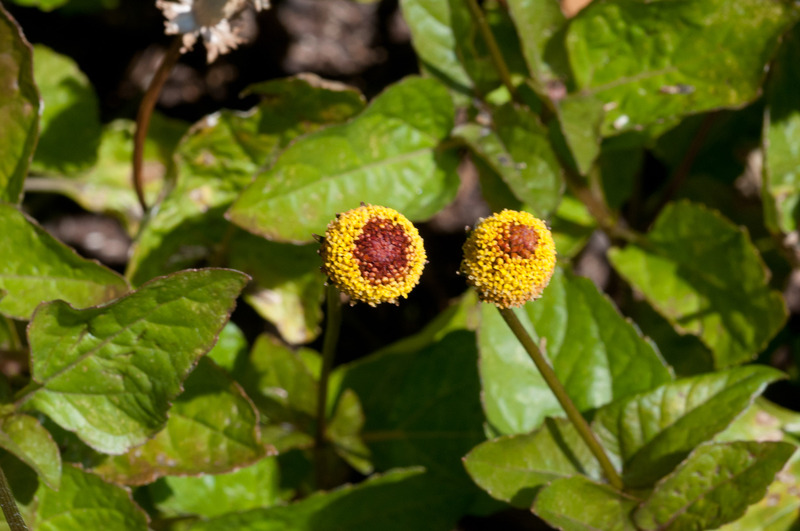 Acmella oleracea description by Thomas H. Kent, last updated 12 Oct 2018.